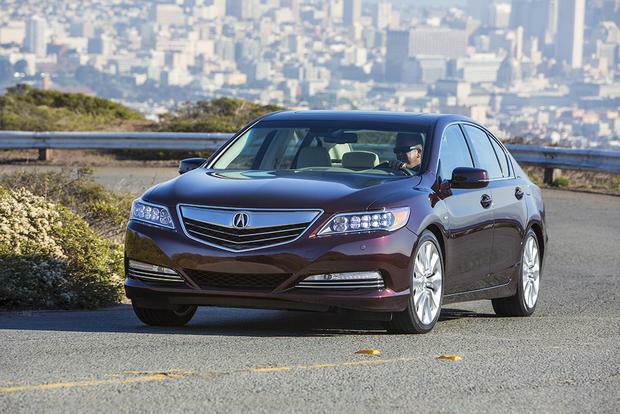 Acura's flagship sedan is a rolling showcase for the company's best electronic, performance and safety technology. With tough competition coming from all sides, the luxury automaker wisely packs the 2017 Acura RLX luxury sedan with standard equipment that is often optional on other cars, then brings its starting price in at thousands below a comparable BMW 5 Series or Mercedes-Benz E-Class. The RLX's roomy cabin and wide seats are also a welcome respite from sedans that are seemingly built to accommodate only the svelte. Move up to the RLX Sport Hybrid and you'll find a much more dynamic driving experience, with 377 horsepower and Super-Handling All Wheel Drive (SH-AWD). Unfortunately, the RLX's styling is a bit generic, lacking the visual punch of cars like the Audi A7, Infiniti Q70 or Cadillac CTS. The 2017 Acura RLX is powered by a direct-injection 3.5-liter V6 engine that produces 310 hp and 272 lb-ft of torque. A 6-speed automatic with Sequential SportShift technology is standard, and fuel economy is rated by the Environmental Protection Agency at 20 miles per gallon in the city, 30 mpg on the highway and 23 mpg in combined driving. The RLX Sport Hybrid uses the same gasoline engine but adds three separate motors/generators (one in the transmission and two at the rear wheels) for a net output of 377 hp and 273 lb-ft of torque. 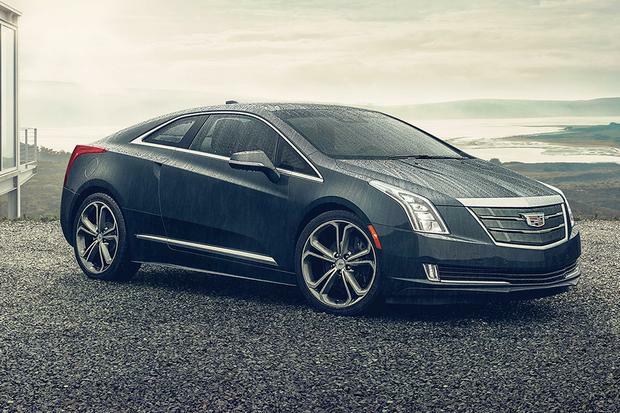 A 7-speed dual-clutch automatic transmission is standard. Fuel economy is vastly improved over the nonhybrid model, earning 29 mpg city/30 mpg hwy/29 mpg combined. 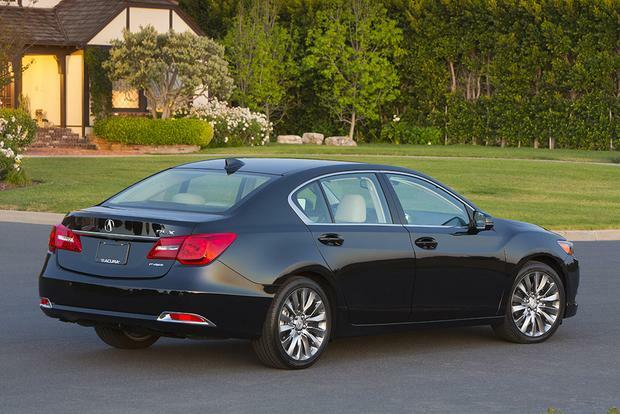 The Acura RLX comes in two trims: the RLX and the all-wheel-drive RLX Sport Hybrid. The RLX with Technology package ($55,390) includes a power moonroof, active sound control (which uses the audio system to quiet the cabin), the Acura Navigation System with 3D view, AcuraLink, Real-Time Traffic and rerouting, and a color multi-information display. Also standard is a power tilt-telescopic steering wheel, heated front seats, driver and passenger 12-way power seats with power lumbar support, keyless access with push-button start, tri-zone automatic climate control, 19-inch alloy wheels, a multiview rearview camera, Bluetooth hands-free phone connectivity, perforated Milano leather seating, a 14-speaker ELS Studio audio system with HDD music storage, Aha and Pandora app compatibility, rain-sensing wipers, heated side mirrors with a reverse tilt-down feature, and adaptive cruise control. 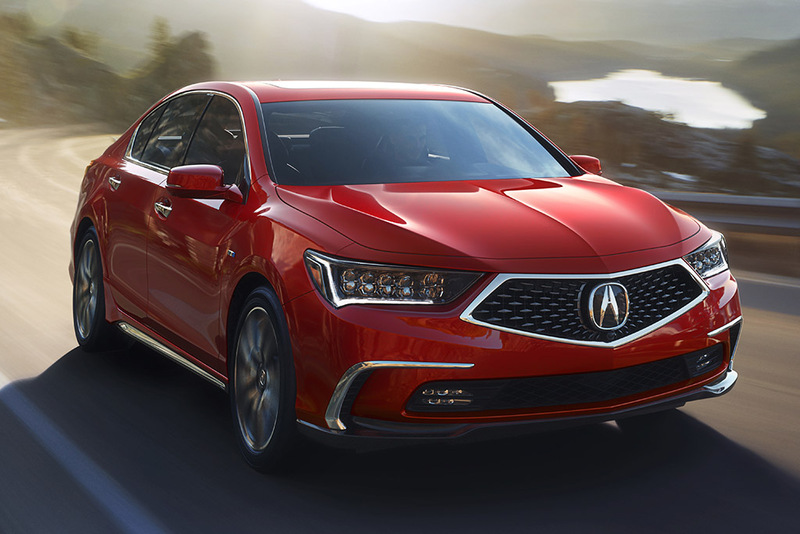 The Acura Watch suite of safety and driver-assist features brings forward-collision warning and mitigation braking, lane-departure warning and lane-keep assist, road-departure mitigation, blind spot monitoring and rear cross-traffic alert. Also standard is a full suite of airbags, including a driver's knee airbag. The RLX with Advance package ($61,390) adds heated and cooling front seats, heated rear seats (outboard positions only), a heated steering wheel, a high-end Krell audio system with 14 speakers, a power rear sunshade, remote start, manual rear-door side sunshades, auto-dimming side mirrors, and front and rear parking sensors. The RLX Sport Hybrid with Technology package ($60,890) includes all the features found in the nonhybrid RLX's Technology package, plus a head-up display, an electronic gear selector, electric tri-zone air conditioning with an air quality sensor, and LED fog lights. 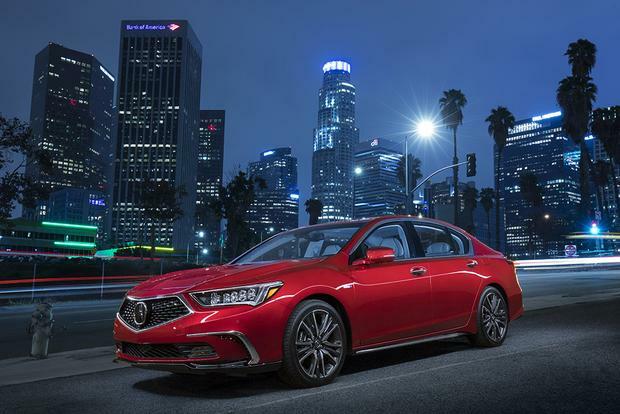 The RLX Sport Hybrid with Advance package ($66,890) builds on the Sport Hybrid's Technology package to include all the additional features from the nonhybrid RLX's Advance package. Acura has made sure the RLX will sail through its crash tests. 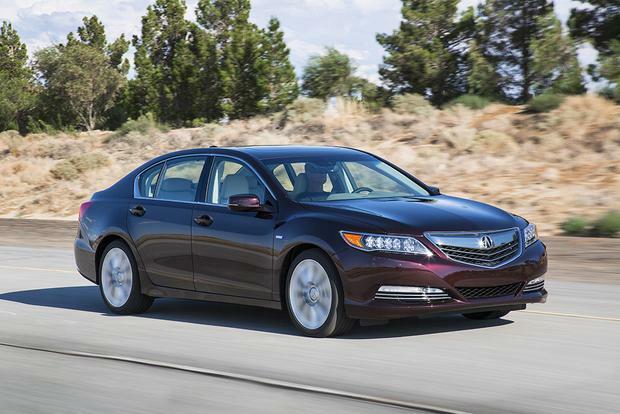 It earned a 5-star rating from the National Highway Traffic Safety Administration and a Good rating from the Insurance Institute for Highway Safety, which also chose the RLX as a Top Safety Pick. Standard safety equipment includes full airbag protection, forward-collision warning, collision-mitigation braking and lane-departure warning and assist. 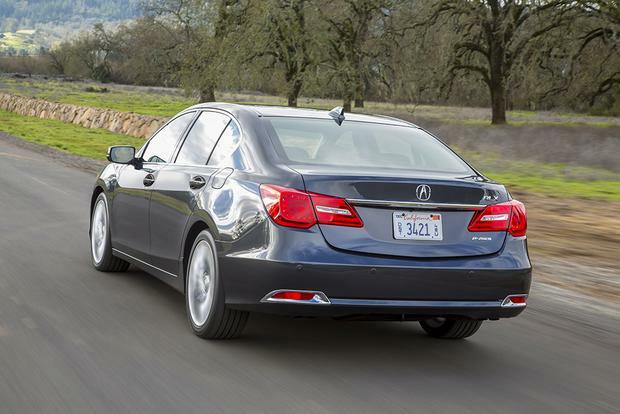 Over long stretches of paved roadway, the RLX cruises effortlessly, almost serenely, as it absorbs bumps and blemishes and delivers a first-class luxury-car ride. The trick up its sleeve, however, comes when the road begins to twist and wind. Where other luxury cars might wallow, with tires squealing at every turn, the RLX carves through S-shaped asphalt like a scalpel-wielding surgeon who's late for his tee-off time. The RLX model's electrically assisted power steering feels direct and precise, and the 6-speed automatic transmission is responsive and quick to pick the right gear when extra throttle is administered. 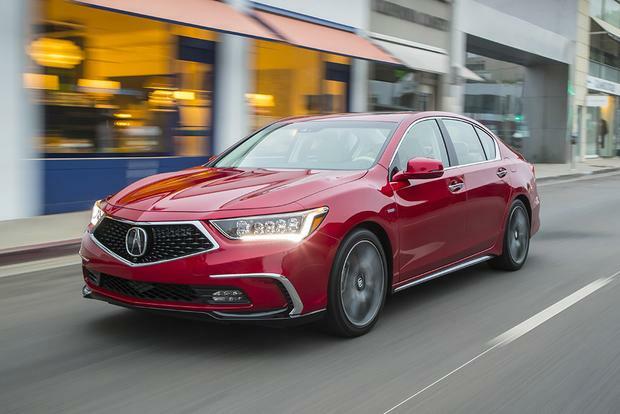 But it's the RLX model's Precision All-Wheel Steer coupled with Acura's Agile Handling Assist, which uses active braking to help keep the RLX traveling on the intended path, that really gives this big sedan its moves. A double-wishbone front and multilink rear suspension setup fits this car perfectly, allowing us to tear around corners on an enclosed track with abilities previously known only to Acura's legendary sport coupe, the NSX. 2017 BMW 5 Series -- The 5 Series will cost more but offers far more advanced technology than the RLX. Although the 5 Series' ride tends be a bit on the stiff side, this rear-drive sedan still feels a little more agile in the curves, and it comes with a number of body configurations and engine choices. 2017 Audi A6 -- While the A6 isn't as powerful as the RLX Sport Hybrid, its turbocharged V6 handily outguns the RLX's. The A6's interior and exterior also outshines the RLX's, as does its overall ride and handling. 2017 Infiniti Q70 -- A nicely equipped Q70 costs about the same as the RLX with the Advance package and offers more horsepower but worse fuel economy. The Q70's color palate is rather drab, and its rear seats not as accommodating as the RLX's. Used Mercedes-Benz E-Class -- A 2012-2015 E-Class offers plenty of features, power and prestige, but be sure to get a certified pre-owned model, because repairs for a car out of warranty can be pricey.